Speech translation research for the major languages like English, Japanese and Spanish has been conducted since the 1980’s. But no attempt were made in speech translation to/from the under-resourced language like Amharic. These activities suffered from the lack of Amharic speech and Amharic-English text corpus suited for the development of speech translation between the two languages. In this paper, therefore, an attempt has been made to collect, translate and record speech data from resourced language (English) to under-resourced language (Amharic) taking a Basic Traveler Expression Corpus (BTEC) as domain. 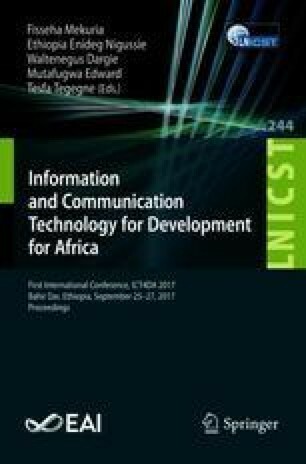 Since there is no any Amharic text and speech corpus readily available for speech translation purposes, first, 7.43 h of Amharic read-speech has been prepared from 8,112 sentences, and second, 19,972 parallel Amharic-English corpus has been prepared taking tourism as an application domain. The Amharic speech data is recorded using smart-phone based application tool, LIG-Aikuma under a normal working environment. With the availability of such standard speech and text corpus, researcher will find a ground to further explore speech translation to/from under resourced languages.